Depending on the reasons that cause joint pain, we should take appropriate measures to strengthen the joints. See how you can cope with the symptoms associated with degenerative diseases, mechanical damage, overloading joints or their poor condition due to genetics. Joint pain can occur suddenly and can also always accompany us as a result of developing osteoarthritis. In order to counteract the causes of the formation of pain, we should undertake appropriate preventive actions and respond quickly to the first alarm signals. How to deal with arthritis pain? Often, the use of a few guidelines can significantly improve the conditions of the joints, which will result not only in lessens pain, but primarily on the greater comfort of our lives. Osteoarthritis can cause prolonged, inconvenient pain. This is a very common disease that primarily affects people over 60 years of age. The disease develops slowly, and its main cause is natural wear of cartilage. 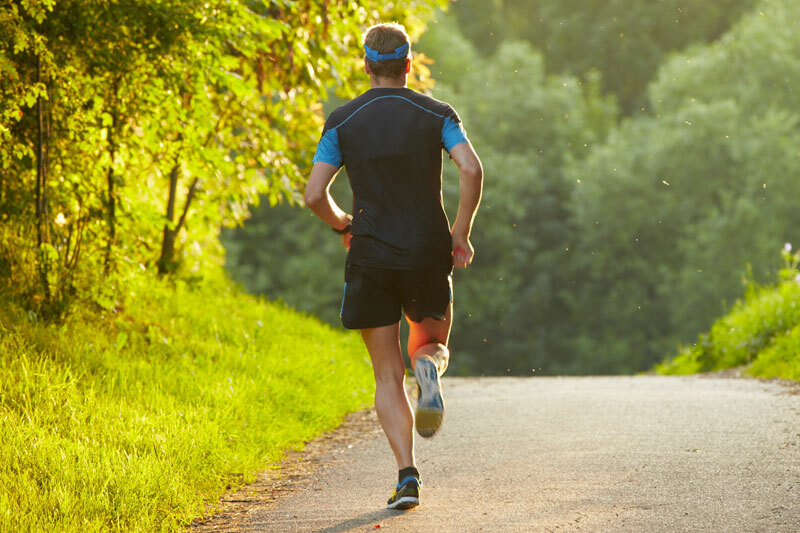 As a result of a long-term degenerative disease, it can come to damage of the articular cartilage, as well as physeal changes, which can cause distortion and swelling. 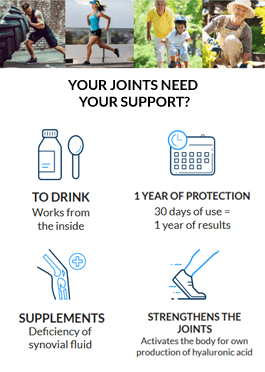 Supplement for the joints - choosing a supplement for joints that contains hyaluronic acid (a natural component of synovial fluid) and chondroitin sulfate (a component of cartilage), we provide our joints with ingredients that naturally complement the worn-out joints. Proper body weight - not leading to excessive obesity. Redundant kilograms unnecessarily burdening the joints, resulting in disease progression. Physical activity or rehabilitation - correctly selected exercises can improve joint mobility and strengthen the surrounding muscles. However, avoid competitive sports, which increase the risk of injury and trauma. Relieving the joint - using orthopedic accessories can reduce the burdening of joints. Primarily orthopedic insoles that absorb shocks exerted on the ankles, knees and hips are recommended. Surgical operations - in extreme cases, when the pain is very troublesome, your doctor may consider surgery and replacement of the damaged joint with a prosthesis. Vitamin E has an anti-inflammatory effect, whereas vitamin C helps in the formation of collagen. Every day we are exposed to mechanical damage of the joints. Carelessness, physical activity, and often an accident can cause injuries, such as sprains, dislocations, bruises. Joint sprain - the most common cause of sprains is falling or performing sudden movements. Joint sprain most often refers to the ankle and it occurs usually in the case of setting feet in an abnormal and violent way on uneven ground. Twisting is accompanied by pain and swelling around the damaged joint. Dislocation - also called a stroke often concerns the knee, hip and shoulder. Dislocation of the joint is based on transferring the articular surfaces against each other, causing straining or tearing of the joint capsule. In the case of dislocation, the joint is unstable and it can be accompanied by symptoms such as pain, swelling, bruising, lack of ability to perform active movements. Contusion of the pond - is often caused by an impact or fall. Contusions may be accompanied by swelling, tenderness, limitation of full mobility, increased sensitivity to touch in a place of breakage and possible abrasions. Torn ligament - Depending on the intensity of damage, we distinguish first degree of tearing ligaments (gentle rupture or tear of ligaments which causes little pain and delicate limiting of joint mobility), second-degree (partial rupture of ligament fiber, which manifests itself with perceptible instability of the joint and restriction of movement) and the third degree (total breakage of the fibers which results in big instability and inconvenient pain). How to rebuild damaged joints? Proper body weight - not causing excessive obesity. Excessive body weight impedes the regeneration of the damaged joint, and increases the risk of injury.. Rehabilitation - appropriately selected exercises can improve joint mobility and strengthen the surrounding muscles. In the case of ligament rupture or dislocation of joints, their activity should be limited in the initial period of the damage. Then, the range of the rehabilitation exercises should be adjusted for the patient depending on the degree of injury, age and activity level of the person. Rehabilitation helps to reduce pain and swelling, improve muscle strength and increase flexibility of the joint. Traditional physical activity can be approached again only after complete regeneration of the damaged joint. Orthopedic products - using appropriate orthopedic devices, one can reduce burden. In the case of sprains, the use of appropriate tourniquets is recommended. In serious cases, using stiffening plasters is advised. Using an orthoses after surgery of the shoulder, elbow, wrist and hand or an orthosis of the knee joint with an adjustable angle of flexion of the joint influence faster regeneration of the joint. Cold compress - they are generally recommended in the case of bruises, to reduce swelling and pain. When the swelling is removed, you can apply warm compresses to help regenerate damaged tissues. Avoiding walking on shoes with high heels - In the event of damage to the ankle or hip, it is important to choose comfortable shoes that will help us quickly regenerate the joint. Walking in high heels should definitely be limited. Supplement strengthening the joints - if we want a rapid return to full fitness, we should strengthen our joints with an appropriate supplement. A concentrated dose of the supplement containing nutrients for the joint provides an effective and fast result. A high concentration of the building block components of the joints ensures faster return of their functions. Hyaluronic acid and chondroitin sulphate content in Hyalutidin HC Aktiv is as high as 15000mg! Obesity - very excessive weight reduces the strength of joints and increases the risk of osteoarthritis of the knee, hip and hand joints. Job - overload arising from work most often occurs due to repetitive tasks or work in uncomfortable conditions. Overload should be avoided by both manual workers and people performing long-term work by the computer. Sports - very intense physical activity or exercise performed without proper warm-up may adversely affect the condition of the joints. 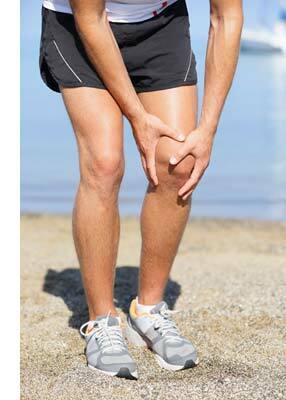 Many sports such as running, golf, tennis burden specific parts of the joints and can cause troublesome symptoms. How to improve the condition of overloaded joints? Improve ergonomics in the workplace - if our job requires performing tasks for many hours in the same body position, we should especially take care of ergonomics in the workplace. When carrying out the work at the computer, we should take care of a comfortable keyboard, mouse, and proper support of the spine. Preventing obesity - it is necessary to introduce the principles of healthy eating and regular meals. Please note that obesity can lead to other diseases, for example diabetes, cardiovascular disease, heart failure, respiratory disease and depression. Regular physical activity - regularly performing properly selected exercise is needed to fight obesity. In particular, aerobic exercise such as walking, swimming, cycling or aerobics is recommended. Food supplement strengthening the joints - choosing a supplement for the joints, their composition should be analyzed and the one that can actually improve the condition of overloaded joints should be chosen. Do not start using a few supplements at once. Also, avoid buying supplements that have just appeared on the market and it is difficult to get any feedback from users about them. If your joints are exposed to strong burdens, avoid the use of supplements that contain only trace amounts of the ingredients actually recovering the joints. Effective regeneration of the joints exposed to regular overload (obesity, work) or a short, but very intense overload (sports), can be provided only by a supplement that contains concentrated doses of the components recovering joints. One such supplement is definitely HYALUTIDIN HC Aktiv, which contains a concentrated dose of hyaluronic acid and chondroitin sulfate. A liquid form of a supplement ensures quick access to the damaged joints and effective regeneration. Make sure you have a comfortable sitting position at work. Your spine must be upright and your elbows should fall freely on the keyboard or mouse without feeling the wrist muscle tension. Due to genetic osteoporosis or rheumatoid arthritis, it is worth checking whether these diseases have occurred in our family history. Bearing in mind the increased risk, we should use appropriate preventive measures from an early age to help us maintain good health of joints. A healthy lifestyle - physical activity and a healthy diet should be incorporated into your daily lifestyle. These factors will help us to maintain an appropriate body weight and regularly strengthen the joints and surrounding muscles. The use of a diet strengthening the joints is based on avoiding highly processed foods, eating fast food, strong coffee, tea and excess sugar because these ingredients can adversely affect the health of joints. Ensuring the ergonomics of the workplace - one should especially take care of their joints, minimizing the situations that can cause excessive overloading of the joints. Whether you are doing physical work, office work or chores, avoid lifting heavy objects and duplication of work in an uncomfortable position. Dietary supplement for the joints - people genetically susceptible to joints diseases should especially take care of their joints, strengthen them with supplements for the joints. Cryotherapy or surface application of heat - depending on the diagnosed ailments, it is worth to consult a doctor regarding the use of cryotherapy treatments (ice packs) or using warm compresses to relax muscles and joints. WARNING! By acting on the cause of pain, we eliminate their source. Do not ignore the first signals from the joints. Discover the cause of joint pain so that you can apply the most appropriate solution..